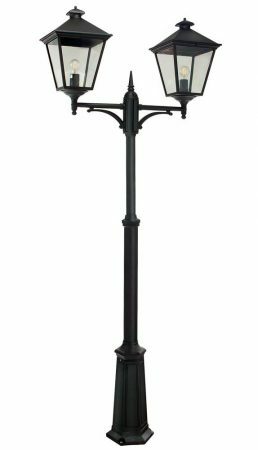 This Norlys Turin Grande 2 lantern outdoor lamp post in black finish is rated IP54, traditional and manufactured from die-cast aluminium, with impact resistant polycarbonate panels and supplied with a 15 year structural guarantee. A splendid traditional full size twin lamp post, with detailed mounting plinth, slender stem and two large traditional lanterns mounted on a braced cross bar. Ideal for outside any home to illuminate the garden, driveway or welcome visitors after dark. Supplied with heavy duty root mount kit for new installations. Height adjustable at the time of installation, minimum height 191cm – maximum height 279cm. This is a Class 2 double-insulated fitting that must not be earthed and can be safely used on older properties without an earth circuit. There are matching fittings in the Turin Grande black finish lighting range, please see below. 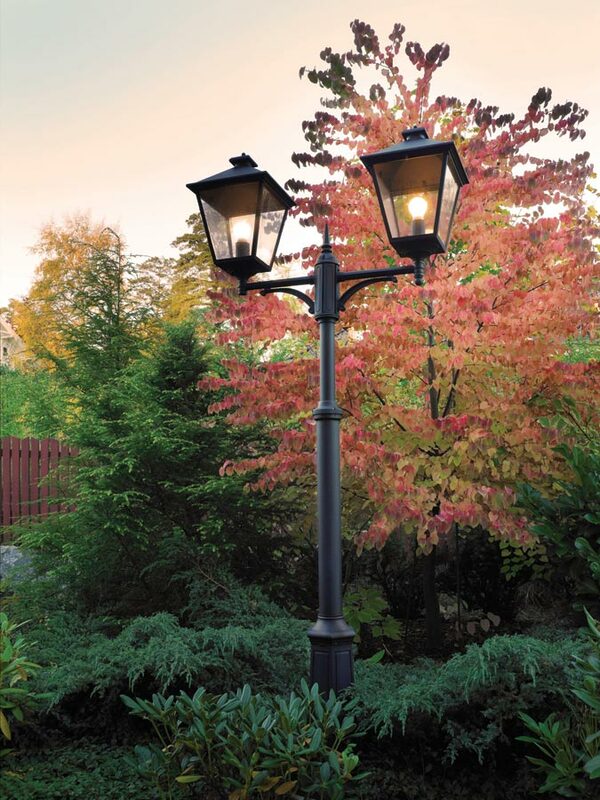 This exterior light is supplied by Elstead Lighting and manufactured by Norlys, a Scandinavian company with 50 years experience in the design and manufacture of exterior lighting designed to withstand tough climatic conditions, such as the Turin Grande 2 lantern outdoor lamp post in black finish and rated IP54 you see here.